Michele Beretta is born October 22, 1994 in Milan (Italy). 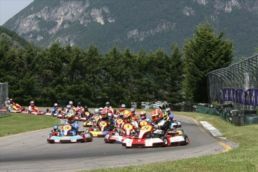 His racing career begins only 17 years later with some races in go-kart. 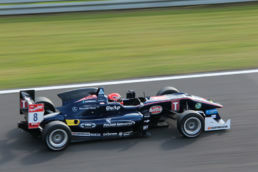 In 2012 Michele partecipates to Federal ACI-CSAI Course in Vallelunga where obtains the license to race, the same year, in the Italian Formula ACI-CSAI Abarth; he drives the Cram Competitionìs Tatuus achieving some good results. After the first year, Michele Beretta chooses again the Italian Formula ACI-CSAI Abarth series, this time with Euronova racing team. His 2013 score is impressive with 1 win, 1 pole position and 9 podiums: with these results Michele is Vice-champion! 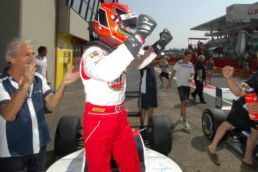 In November he partecipates to Federal CSAI Supercourse (1st overall ex-aequo) and, has winning prize for his great season in Formula Abarth, Michele drives the AutoGP racing car in Jerez de la Frontera, achieving great performance. 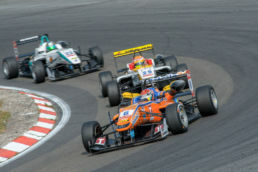 The 2014 sees Michele Beretta with Eurointernational and 4Motorsport in one of the most prestigious and important racing series in the world, the FIA Formula 3 European Championship, where he got some positive results including a third place (among the Rookies) in the difficult street circuit of Pau. In 2015 Michele Beretta and 4Motorsport continue in the same series with german team Mucke Motorsport. After a very positive test with the official Lamborghini team on Huracan GT3 race car, he has been chosen as Junior Driver for 2016 racing season in the Blancpain GT Series, the most important series in the world reserved for GT3 class cars. 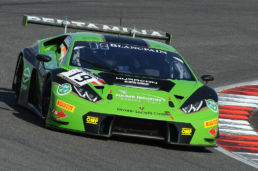 In 2017 Michele Beretta graduates Italian GT Champion together Ombra Racing team at the wheel of the Lamborghini Huracan GT3; with the same team he races also in the Blancpain Endurance Cup. 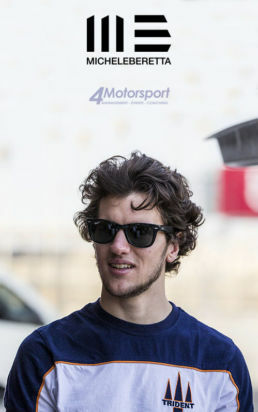 During the same season he takes part in some races of Lamborghini Super Trofeo North America getting two podiums with the Prestige Performance / Wayne Taylor Racing team; always overseas, he takes part in the Daytona 24 Hours (Lamborghini Huracan GT3 – Grasser Racing) and in Sebring 12 Hours (Lamborghini Huracan GT3 – Ebimotors). Outside of racetracks, Michele lives in Ello (Italy), he loves music, downhill and skiing. His favourite racetracks are Imola, Spa-Francorchamps and Jerez de la Frontera.